Do you Sell DVDs Online? Install our free E-commerce App and Sell DVDs in just a few short steps. Easy to set up and manage, Ecwid’s revolutionary online shopping cart gives you everything you need to start selling DVDs online today. Whether you are selling DVDs that you have produced, vintage classics, the hottest new movies or more, our free and feature-rich online store will help you easily organize your inventory and sell to more customers than you ever thought possible. Your online DVD store will blend seamlessly with your new or existing website, display beautifully on computers and mobile devices, and make shopping for DVDs incredibly simple for your customers. When you sell your DVDs online with Ecwid, you can customize your entire online store, from the look and functionality, to shipping and payment options and more. You will also be able to build a large customer base using a variety of interactive features, including social media, promotions, order tracking and more. Whether you’ve had experience selling DVDs online or this is your first store, Ecwid’s powerful features give you tremendous control over your business without the hassle of a complicated set-up or management. With just a few simple steps your online store will be seamlessly integrated into your website, and you can begin to upload descriptions and images of your entire inventory and begin to sell DVDs online today. If you manage more than one website or decide to add a store to your Facebook page, your complete inventory will be mirrored across your many sites, making managing your products incredibly easy. When you’re selling DVDs with Ecwid, your customers will enjoy a lightning fast shopping experience with the help of our smooth AJAX interface, powerful and secure Amazon EC2 servers, drag and drop support, and simple check out — all from the convenience of your website. You will also be able to customize the look and function of your online store to suit your needs and preferences. When you sell your DVDs online with Ecwid your customers will also appreciate the ability to shop for your DVDs wherever they go with the help of our responsive mobile design. And if you selling DVDs in person at an event or a store, you can accept payments on your phone using Ecwid’s partnership with PayPal. Ecwid also makes setting up your payment options and shipping methods remarkably simple. Choose from a wide variety of payment methods that best suit your needs, and offer you customers the most convenient shipping methods. You’ll also be able to track orders, customer history, and sell to customers all over the world with the help of our over 45 built-in storefront language translations. Help promote your products and expand your business further with our social buttons that allow customers to share their favorite products and purchases from your store on social media, including Twitter, Facebook, Pinterest and more. We are constantly adding new features to make selling DVDs an even better experience, and those updates will be automatically incorporated into your online store. 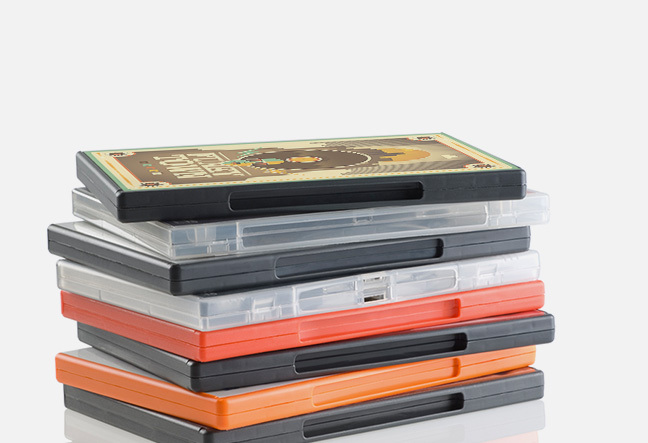 Get started today and find out why Ecwid is the best place to sell DVDs online.